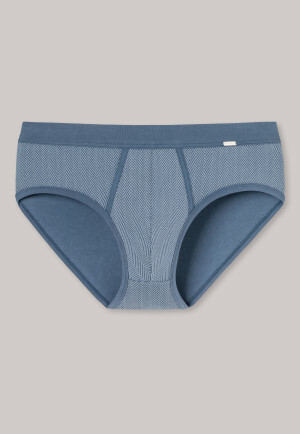 There's a reason this style is so popular among men: men's briefs are practical, because they allow maximum legroom and thereby convey a feeling of total well-being. blue-black striped super-mini brief - "Long Life Softness"
What characterises classic men's briefs? These have a lower body height and are more minimalistic. They're perfect if you want to advantageously show off your sporty figure. These don't sit too low on the hips and have wider edges. They're cut in such a way that they completely cover the buttocks. If you want to your briefs to shape your waist or conceal a small belly, this is the model for you. Men's briefs are very suitable for wearing under jeans or dress pants, because they have no legs, which must fit under the jeans. Models with fine stitching are particularly recommended as they don't show underneath your pants. So that you can concentrate on the really important things during your day, an elastic waistband ensures that these men's briefs sit well and don't slip or tug. The cut is essential when it comes to men's underpants. From loose-fitting boxer shorts to tight-fitting men's boxer briefs with a short leg and classic briefs - every man has to decide for himself which variant best suits his needs and offers the most comfort. Even more important in choosing men's briefs is the material used. 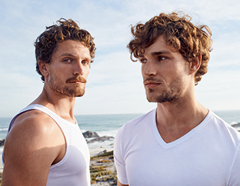 At SCHIESSER, the predominant fiber is fine cotton. This ensures absolute feel-good factor against the skin and is easy to care for. 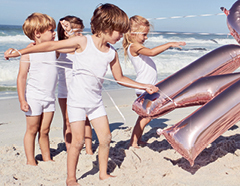 In addition to cut and material, you also have the chance to choose between different designs. 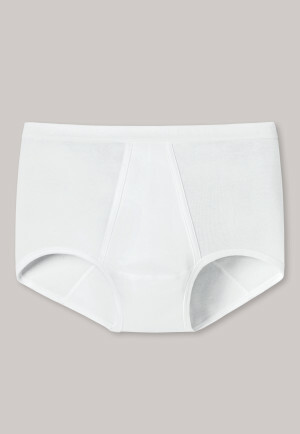 Men's underpants are available in timeless fine or double rib in classic white, gray or black, with or without a fly front. Anyone who likes it practical can go for practical 2 or 3 packs on certain models. In addition, for fashionable men, briefs also come in prints - stripes, patterns or ringed.